When not busy writing crime fiction, Tom works in higher education, with an emphasis in e-learning and technical communication. He is currently the Vice Provost for Digital Learning at the University of Central Florida. He has also written and managed numerous multimedia programs for Fortune 500 companies, the federal government, and military. Prior to that, Tom spent several years in film and television entertainment where he wrote a number of award-winning children’s television programs for producers such as Nickelodeon, the Disney Channel, and Anheuser Busch Entertainment. 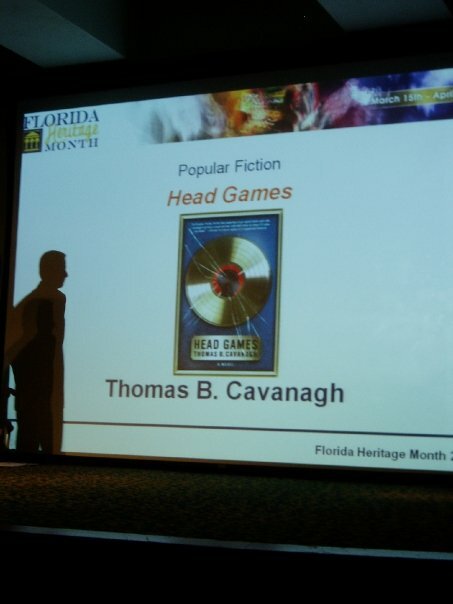 He has taught graduate level Technical Editing and Writing for the Business Professional courses at UCF, Technical Report Writing at Embry-Riddle Aeronautical University, Digital Storytelling at Valencia College, and Screenwriting at Full Sail University. He holds a Ph.D. in Texts & Technology from UCF. 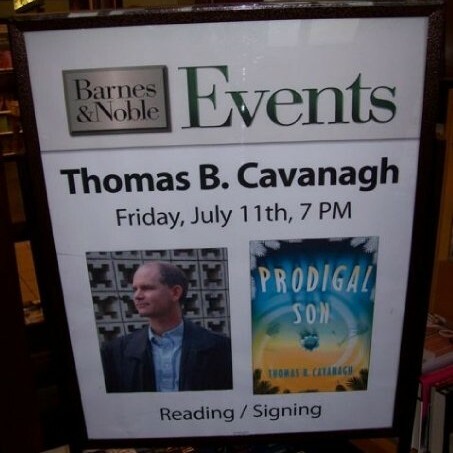 Tom is a graduate of the University of Miami Creative Writing program, where he has been named a distinguished graduate. Tom lives in Central Florida with his family and two quirky cats. 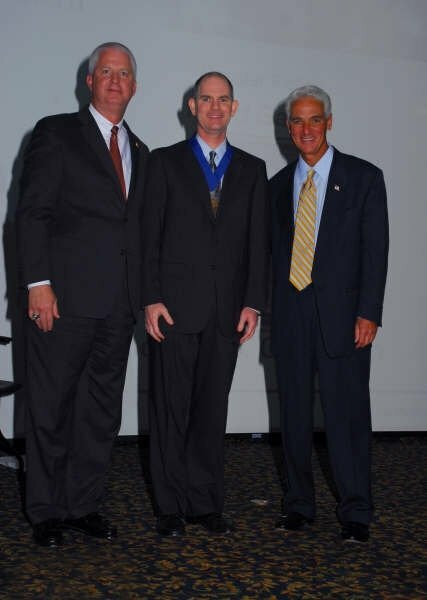 Tom receiving the Florida Book Award Gold medal from Florida Secretary of State Kurt Browning (L) and Governor Charlie Crist. Fun fact: Charlie Crist is very tan.